"Dr. Carrion was an amazing and very helpful dentist." "The dentist on staff was very knowledgeable... will definitely refer family and friends." "Everyone there is so sweet...and was able to get my work done!!!" "Dr. Monty was very professional and detailed in my care." "Dr. Monty did an excellent job. Because of her I can smile again." 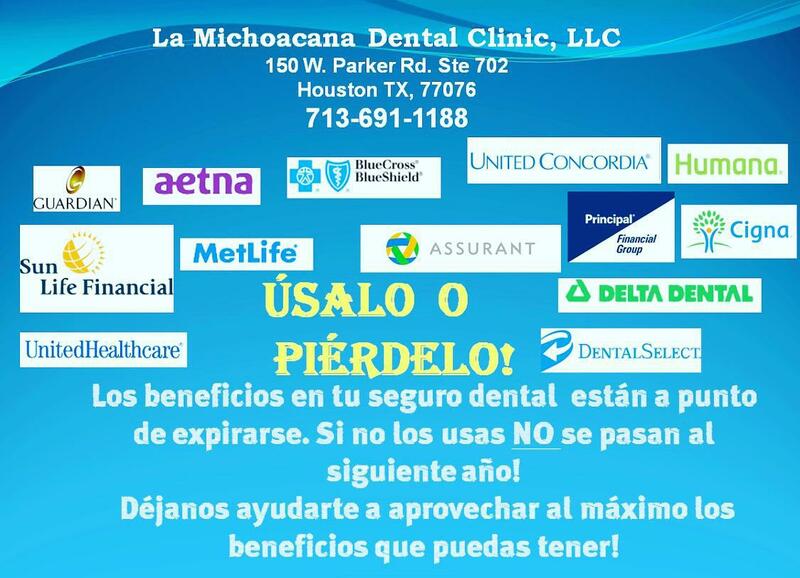 Established in 2009, La Michoacana Dental Care performs at the forefront of dentistry from two convenient locations in greater Houston. Every patient receives a friendly, personalized consultation and a full range of oral care services at the Parker Road and Barker Cypress Road locations. The esteemed team of dentists, periodontists, and dental assistants is dedicated to providing only the highest level of care using the latest techniques and tools. Fully licensed and expertly trained, they’re ready to flawlessly perform in every area, from preventive care and cosmetic treatments to restorations and dental emergency procedures. La Michoacana Dental Care excels in maintaining the teeth and gums in men and women. The team’s expertise includes teeth cleanings, whitening services, and oral surgeries like implants and root canals. State-of-the-art diagnostics are available to pinpoint cavities, bite problems, crowding wisdom teeth, and other issues before complications arise. Whatever challenges each one-of-a-kind mouth presents, the dental experts and hygienists at La Michoacana Dental Care are ready to customize their superior oral care to restore a healthy smile. "Excellent service from when you walk in until you exit. Only smiling and friendly faces and they take the time to explain everything." "They have great hospitality. Thank you all for your help. They have very good people working there, good price too!" "Excellent and painless service. I recommend Dr. Monty as well. Thanks." "Everyone is very friendly, excellent deal! I needed a root canal, this clinic saw me the same day and started the root canal. I recommend it!" "Dr. Monty is professional, the treatment is excellent. No pain and everything was ultra clean."